I gotta tell you, I couldn't be more excited for this summer's card. It's a great mix of genres I know I'll enjoy and a few challenges that will get me off the beaten path. In an effort to get back to my #ReadMyOwnDamnBooks aspirations, I'm thinking about restricting some or all of my reading to physical/digital/audio books I already have. 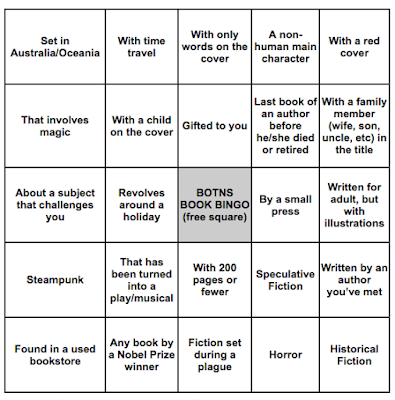 That'll be nearly impossible for some squares (pretty sure my shelves aren't teeming with plague- and holiday-themed books), but I'm already fantasizing about my options for others. 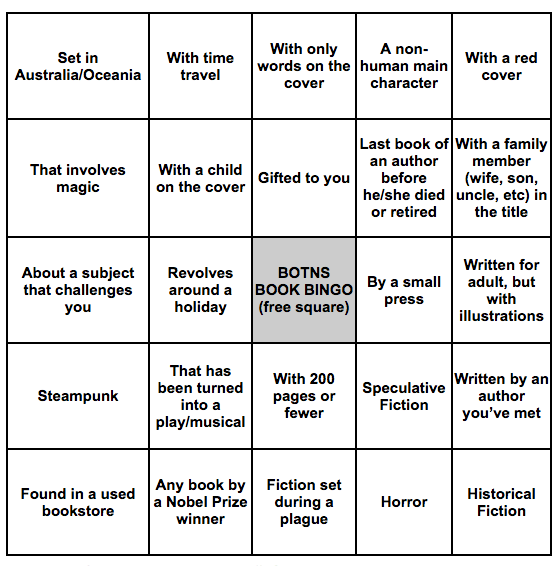 I also love how a few squares—"last book of an author before he/she died or retired," "steampunk," and "written for adult, but with illustrations"—are going to require some extra sleuthing. *Well, besides Readathon time, of course. What are YOUR summer reading plans? Let's compare bingo squares!